As a society, we’ve been conditioned to believe that shiny bottles and slick ad campaigns show us the way to perfect health. Watching that couple jog through the park or seeing a father skip stones across a pond with his son help convince us that big pharma has our best interests at heart. This is often not the case. There is an undoubtedly an amazing benefit in the administering of numerous pharmaceuticals. What we’ve found us doing is relying upon them in lieu of more natural and holistic methods. On top of that, we are taking them more and more, often exceeding recommended doses. But there are alternatives. It should be said that nature has offered remedies to treat a myriad of disorders and ailments. These remedies have been relied upon since the beginning of civilization. Particularly, when it involves essential oils and their health benefits. Essential Oils should be a staple in your medicine cabinet and an integral part of your home remedy practice. But what should you be aware of when purchasing them? 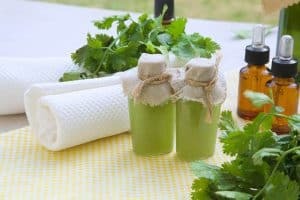 There is a multitude of choices and things to be aware of when for essential oils for acid reflux, indigestion, GERD, and heartburn. The following information is meant to assist you in your journey for the perfect distributor, to make sure you receive what you pay for, and that you experience the optimal health benefits possible. Your initial web search will reveal terms such as pure, organic, and therapeutic grade, but what does that really entail? Because there is no uniform classification of purity, or since essential oils for acid reflux, indigestion, GERD, and heartburn are not regulated by the FDA, words like “pure” and “therapeutic” possess little worth. Even if oil really is able to be considered 100%, it still may not have been correctly handled and give you nothing more than a pleasing scent. That is if you’re lucky. Should you find yourself in contact with mishandled, mislabeled, and/or improperly stored essential oils, you could become seriously ill. You must buy with care. 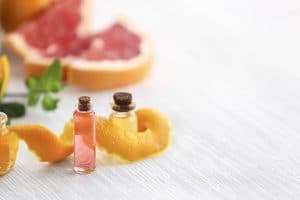 While perfumery oils, fragrance oils, and flavorings do provide an agreeable aroma, they do not offer the therapeutic benefit of true essential oils. Based on where the plant originates, and several determining influences during that growing season, the quantity of effective chemical components can fluctuate from season to season. The apprehension of oils not being pure is a valid concern. The Herbal Academy tells us “For many reasons, often related to a distiller or supplier wanting to make more money, adulteration of essential oils is a serious problem.” There are numerous extenuating issues involved in the progression and locating a reputable retailer is crucial to reducing the danger of purchasing low-quality essential oils. Should everything work out and be sufficient, and the essential oil extraction process is effective and reliable, along with appropriate packaging, handling, and shipping, you still can not be sure whether or not you are purchasing an uncontaminated and high-quality essential oil. It is a difficult process to navigate and, other than through research and trial and error, you could find yourself at a loss. However, there are several guidelines that can help you minimize your exposure to inferior products. As we begin to take responsibility for our well-being, we must be more attentive in the products we consume. Here are some items to be wary of as you look to find which essential oil is best for your reduction of acid reflux, indigestion, GERD, and heartburn. When buying essential oils, make sure they are all-natural. You shouldn’t have to scour through a page of text to determine whether or not you are purchasing actual Eucalyptus Essential Oil. The list of ingredients should only the essential oil itself and, perhaps, a Latin translation of the plant. Some distributors will exaggerate the amount of oil they claim is in a bottle. This affords them the opportunity to mislead the consumer, resulting in an inferior product that will not be nearly as effective as what you are needing. Vegetable oil is a popular ingredient that is, unfortunately, utilized by less than reputable manufactures. This oil is added to low-quality essential oils in order to give it more volume. Steer clear of essential oils that have been diluted with vegetable oil at all costs. If you are not sure if you have purchased an essential oil with vegetable oil, or if you have a suspicion, there is a simple test you can perform. Simply place a couple of drops on a piece of paper. If the drop leaves an oily ring, it likely contains vegetable oil. A good rule of thumb is when buying essential oils is to not purchase from a manufacturer that offers all of its essential oils at near the same price. 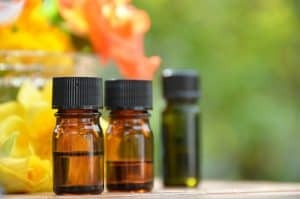 The procedure of extraction can fluctuate immensely from one plant to the next, and it should raise a huge red flag that an exclusive and unique essential oil could be priced anywhere near the same as a more common essential oil. Pricing procedures such as these, advocate either synthetic or of low-quality essential oils. This type of inferior product is exactly what you want to avoid. Essential oils are potent and effective. Should you end up purchasing synthetic, diluted, or even something that is not an essential oil at all, you could be risking your health. Focus on reputable dealers and manufacturers that offer varied pricing that reflects the level of essential oil they are offering. Never buy essential oils essential oils for acid reflux, indigestion, GERD, and heartburn that come in plastic bottles. Plastic can damage essential oils in multiple ways. The essential oils can dissolve the plastic and contaminate the product and, since plastic is translucent, it can allow light to penetrate the oil. Damage from light can severely affect essential oils, resulting in a loss of potency. Words such as “therapeutic grade” or “clinical grade” have been utilized by essential oil dealers to ascertain the dominance of their essential oils over other suppliers’ oils. This had become quite routine and these words are not standardized and could mean whatever the supplier using them wants them to mean. As stated above, essential oils are not governed by the FDA. 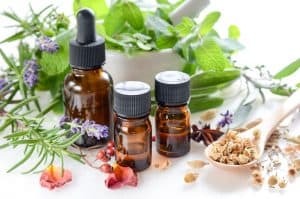 Although these suppliers may not be necessarily deceptive about their essential oils, they could be intentionally ambiguous in order to skirt a fine line. Some essential oil providers tend to use particular words that may not apply to particular characteristics. When purchasing essential oils locally, be aware of oils that have dust on the top of the bottles, boxes, or even the shelves they sit on. You should even pick up the bottle and inspect for dust underneath it. This is a signal that the oils have been on display for too long of a time. As time progresses, most oils oxidize, lose their therapeutic characteristics, and their fragrance weakens, making them ineffective. This column began with what to avoid. This is an important first step in distinguishing quality essential oils from its inferior counterparts. It allows us to whittle down the gigantic level of choice into something more controllable. Next, let’s focus on what to look for when purchasing essential oils for acid reflux, indigestion, GERD, and heartburn. Regrettably, the word “organic” means various things in various countries. However, it is one more possible determiner of quality. Searching for essential oils that are organic should be your initial selection. If the plants supplying the essential oils are sprayed with pesticides, any impurities and pollutants will be even more concentrated in the essential oil. This is particularly crucial for citrus oils since they start high in the tree and are easier marks for pesticides. Some distributors also carry oils that are “unsprayed,” where the farms are not certified as organic, but they do not spray their harvests, and many high-quality oils are also wildcrafted. Essential oils should be purchased only when encased in dark amber or blue glass bottles. Clear glass allows unfiltered light to enter and can cause the oil to spoil. Should you find essential oils in any packaging other than dark glass bottles, it is highly recommended that you look elsewhere. Reputable companies tend to list the Latin name and common name on the label as well as the country of origin. This assists in assuring the customer that you are purchasing the appropriate oil and not a generic competitor. Some oils perform better from one country than from others. Many manufacturers may claim they have 100% pure therapeutic grade essential oils, but that does not necessarily mean anything more than the label or website on which this claim is printed. It’s an invented word that hardly contains any scientific backing. Organic essentials oils have at least undergone screening to be labeled as organic and are a safer purchase. Now you have decided where and how you will purchase your essential oils. Before you begin sniffing and diffusing the entire house, keep a few things in mind going forward. If buying an essential oil for aromatherapy or ingestion, you don’t want to test it in the same way you would perfume. Do not hold your nose right up to the open tester and take a big breath. The undiluted oil is incredibly potent and can give you a headache or even irritate your nasal passages. In its place, hold the lid at least five inches from your nose and waft the scent towards you while lightly sniffing. Do not place the oil directly on your body in the case you may be allergic to it. It is best to begin with a single drop on your forearm. Apply it, wait for several minutes, then proceed. When checking out an assortment of oils, take a rest in between aromas. Leave the area and give yourself a break. Inhaling oils too closely together can overpower the senses and reduce your ability to distinguish the aromatic notes. Less is More – Always purchase less rather than more. A smaller bottle will likely last you many months, even with everyday use. Purchasing too much can lead to spoilage and waste. Keep your Cool – Unsurprisingly, you should consume an essential oil within a year, although shelf life can fluctuate. If necessary, you can extend the shelf life by keeping the essential oil in the refrigerator (do not freeze). Choose Glass Bottles – When buying oils online, larger sizes of essential oils may be shipped in plastic packaging to avoid breakage and minimize shipping costs. We encourage asking what type of packaging is being used since essential oils can dissolve plastic bottles and the quality of the oil can weaken hastily. You may want to locate a different supplier for your essential oils. If you do receive essential oils sent in plastic or clear glass, be sure to immediately transfer the essential oils to dark-colored glass bottles. It is vital to search out retailers that offer accurate and detailed information about their essential oils. This provides confidence and assurances that their expertise and reputation are credible. Many dealers will not check off everything on the above list but, as you examine these potential dealers and their websites, you will get a better feel for who they are. A trustworthy dealer will be happy to answer any questions and address any concerns you may have. If they are hesitant to provide information, find someone else.